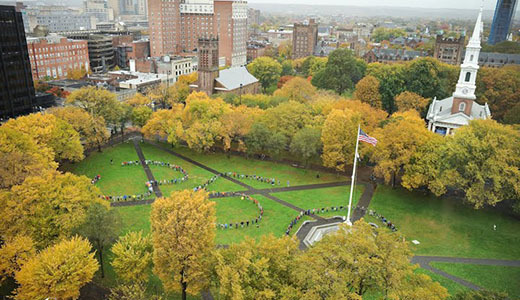 Over 200 people braved rain and wind on the historic New Haven Green October 24 for International Day of Climate Action. After some speeches and music, a human “350” was formed, signifying the immediate decrease in carbon footprint that must be achieved in the world, down from the present 385 which is melting the artic icecaps. 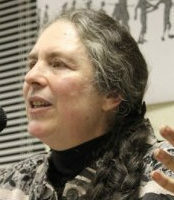 An evening program featured more speakers and a potluck dinner. Students and community activists mingled together, joining with similar actions taking place on all continents. Organizers of the 350.org campaign are calling for a rapid reduction in carbon emission. They hope to influence work on a United Nations treaty scheduled for completion this December at a conference in Copenhagen, Denmark. They support a high enough price on carbon to cut down usage and measures to insure a fair chance for developing countries. In 2007 they helped organize over 2,000 demonstrations in the United States, which leads the industrialized world in per capita emissions, which succeeded in the first Congressional action to reduce carbon dioxide.